Doing a startup isn’t easy, so some support along the way might be helpful, especially in Hong Kong. Although Hong Kong has one of the cheapest Big Mac‘s US$ 2.99, it is still one of the most expensive cities in the world, real estate wise and other wise that is. Nowhere in the world it is quicker to earn a Big Mac; in Hong Kong you can buy one after working for 8.6 minutes. Something that will take in Manila, a 2 hours flight away, a little less than 88 minutes. In Hong Kong you better be sure you have a viable business (revenue) or a compelling proposal (VC funding) to be able to support your business after 12 months, or have additional sources of income. 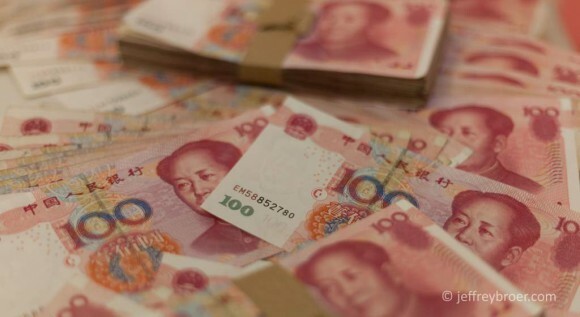 Because it is easy to run out of money in Hong Kong, I personally think the costs of doing startups in Hong Kong makes you focus on one of the most important things: making money early on in a company’s existence, like some home grown successful startups have shown that it is possible. But Hong Kong is a tough place to receive angel investments and a hard place to find initial startup funding in general, this being a blog post topic on its own. Although sometimes you don’t always want, need or should take outside investment. There are also alternative funding options. Hong Kong has some public and private incentives in place to support innovations and development. Some are government backed, some are corporate initiatives or other stakeholders, this post is to sum up most of them. Besides the myriad of co-working spaces, (most of them aren’t focusing on startups with US$500+ per monthly hot desk subscriptions), there are 2 well-known government supported general areas “innovation hubs” that are set up to support and host startups; on the west side of Hong Kong island this is Cyberport and in the New Territories we have Science and Technology Park. Both organizations have their specifics on what they support and who is applicable, later on more about this. Beyond these 2 hubs, there are many specific schemes that are set in place to foster innovation, help boost sales, promote design, etc. The Chinese University of Hong Kong (CUHK) did research on the funding, grants and schemes available for MSME in Hong Kong. 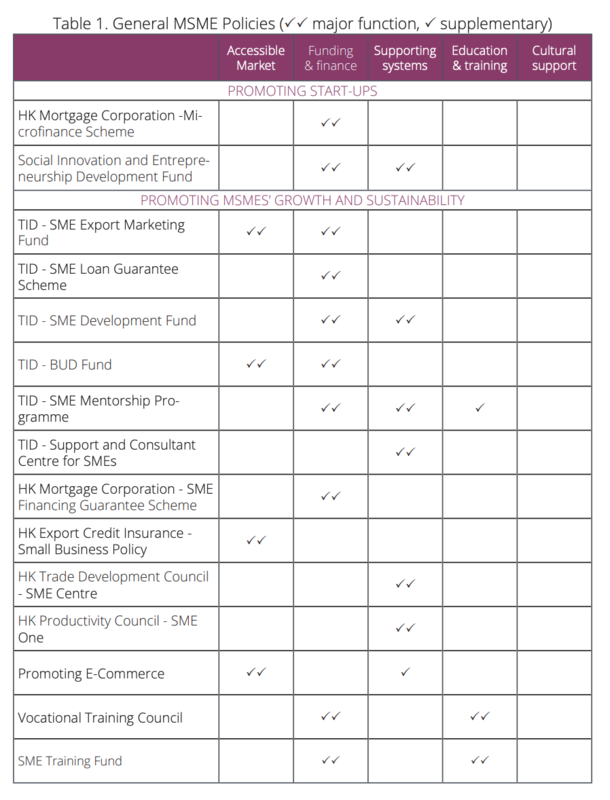 From this, following is a list of organizations providing support and funding for SME’s and startups in Hong Kong. 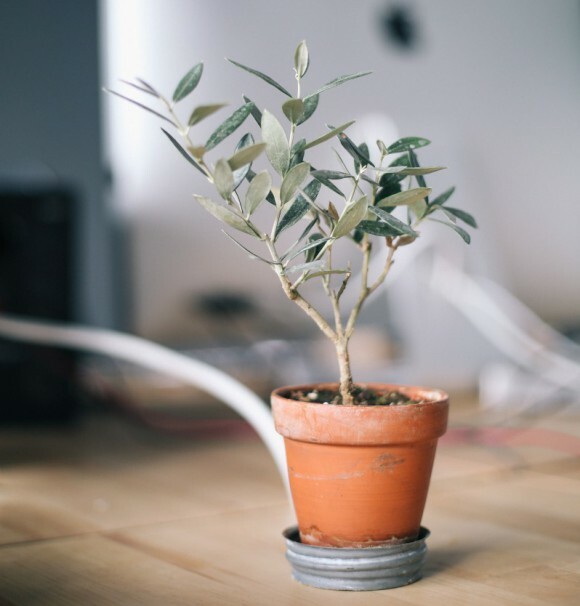 There are too many variables to say which would apply to a specific startup and even amongst schemes the rules and directions sometimes changes, so you should do your own desk research on which would work for your startup, but almost all have the requirement that the applying company is a Hong Kong entity. Overview of funding, grants and support for startups in Hong Kong. Overview of funding, grants and support for technology startups in Hong Kong. 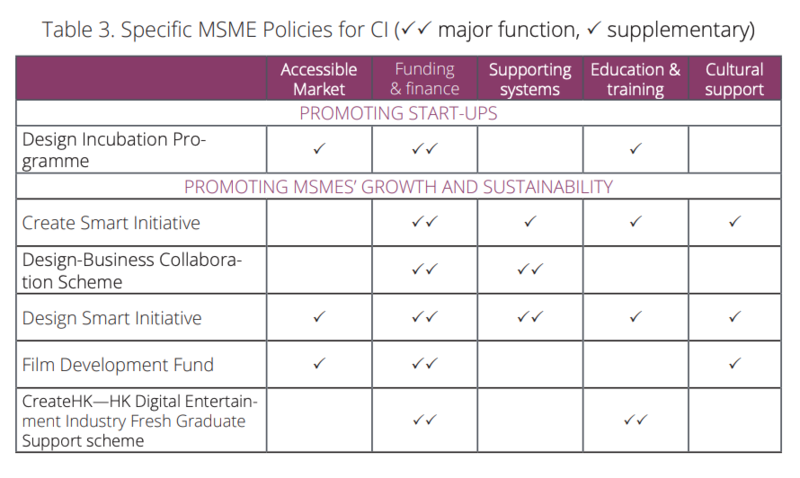 Overview of funding, grants and support for creative startups in Hong Kong. I hope this will help you navigate the options out there, clap or share this post as vanity motivation for me and perhaps usefulness to others. Also have a look at the options for startup visas in Hong Kong. This list isn’t meant to be exhaustive, more can be found on StartmeupHK website here, and if you know of other schemes, let me know @jebbery and I might add them for future reference. 5) The Chinese University of Hong Kong (CUHK) did research on the funding, grants and schemes. Thinking about doing “some angel investments into startups”? This requires a different mindset than investing in for instance stocks or bonds. Uber, WeLabs, 8 Securities, Tesla, Angry Birds, etc, imagine you were an early stage angel investor in one (or more) of them. What can Hong Kong mean for (Dutch) hardware startups? Hong Kong startups has many similarities with startups The Netherlands in the way of challenges and knowledge. This is the first in a series of blog posts and in this post I will highlight the Hardware part of Hong Kong, other posts will be about startups in: Logistic, Finance and Garments. Running out of money isn’t a valid failure reason. How much money should a startup raise?